The holiday season may be in our collective rearview mirrors, but retailers are offering some tantalizing deals this long weekend in the hopes of getting shoppers back into stores. 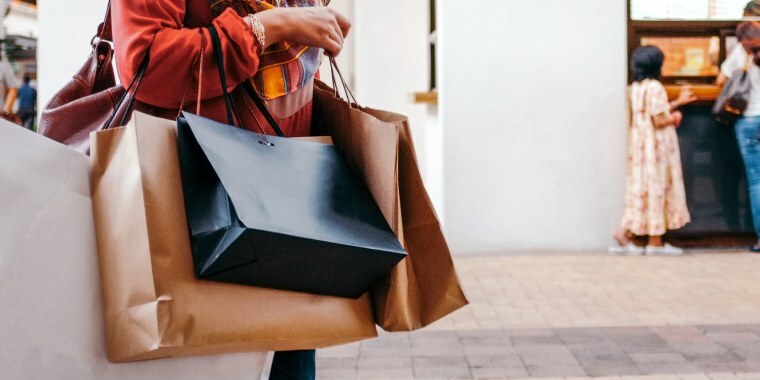 According to Sara Skirboll, the resident Shopping & Trends expert for savings destination RetailMeNot, there are plenty of deals and big savings to be found throughout Martin Luther King Weekend on everything from clothing to rental cars to beauty products. There may be three months left of winter but in the eyes of retailers, it’s nearly spring. “Retailers will be pushing out spring merchandise soon and want to make room for the new inventory by marking down all matters of winter clothing,” Skirboll said. And good news, fashionistas, retailers are also making way for spring shoes and coats. That means boots and sneakers will be marked down. Gap: 40% off your purchase through Jan. 21. Macy’s: Up to 75% off women’s shoes through Jan. 29. Jos A Banks: Extra 60% off clearance and extra 25% off shoes online and in-store through Jan. 21. For many, January is a time of committing to a healthier lifestyle. Skirboll said retailers want to help shoppers achieve those health-conscious New Year’s resolutions. Academy: 50% off Apparel clearance through Jan. 21. A new year means a new opportunity to travel. While shoppers are budgeting for the year ahead, now, says Skirboll, is the time to plan for your 2019 trips. Ready to change up your beauty routine? Skirboll said retailers have plenty of beauty deals for the offering this weekend. “Many beauty retailers are using this time to discount last season’s products, sets and palettes to make room for the new spring looks,” Skirboll said. La Roche Posay: 20% off orders of $50 or more through Jan. 19.